I worked for Information Technology Services at LSU for many years and retired from there in 2013. 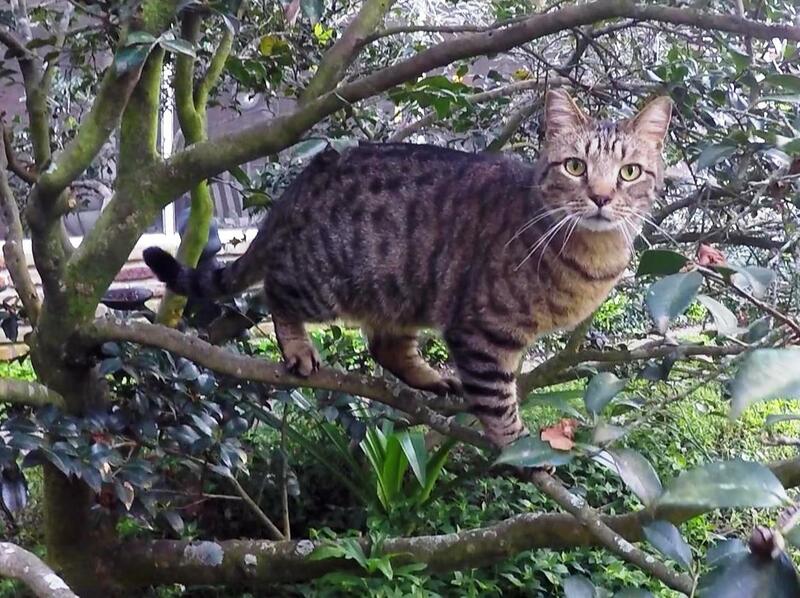 Two days after I retired, my wife came home from a walk in the neighborhood and told me she found a cat stuck in a tree a block away. No one knew the cat’s owner, so I took responsibility for the cat. I began looking for someone who could rescue him and found myself running into frustrating dead-ends everywhere I turned. I felt so helpless. The cat wanted down, and I wanted to get him, but we had no way to make that happen. After a full day of failures, I finally found the directory of cat rescuers mentioned earlier. I checked the listings for Louisiana and found one guy listed for the Baton Rouge area. I called him and he came out that evening to rescue the cat. When I saw how he did it, I was so impressed that I decided right then that I wanted to learn how to do that myself. I made it my mission to learn everything I could about tree climbing and cats. 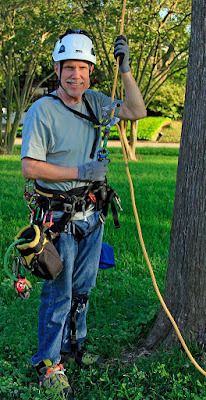 I found excellent tree climbing training and set about practicing climbing every chance I had. I practiced climbing for about a year, all the time refining my techniques. I assembled all the tools I would need, not only for climbing but for rescuing the cat as well. When I felt I was ready, I notified the local Animal Control office that I was available for cat-in-tree rescues. 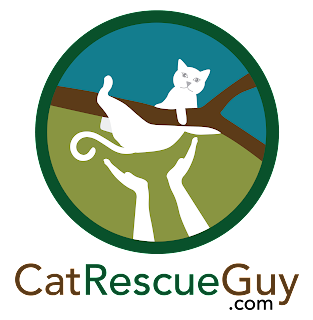 I had been told earlier that they received, on average, 50 calls per year for cat rescues, and they would be happy to refer those callers to me. In the meantime, the guy who rescued my neighborhood cat moved out of state and was obviously no longer available for rescues here. That left me as the only cat rescuer in this area as far as I know. If there are any others out there, please let me know. While I spent my entire working career in the field of information technology, my college degrees, including a PhD, are in music. I even used to be a decent piano player long ago, though I hardly play anymore. I took up hobbies in photography and woodworking and built some of the furniture in my home. 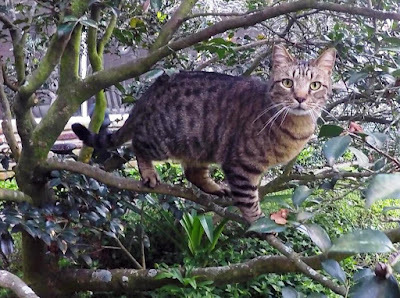 I am a nature lover and animal lover and have worked with a local organization to trap, neuter and return (TNR) feral cats in our area. I am married to Judy, a wonderful wife, who is retired after teaching elementary school in Pointe Coupee parish for 33 years. 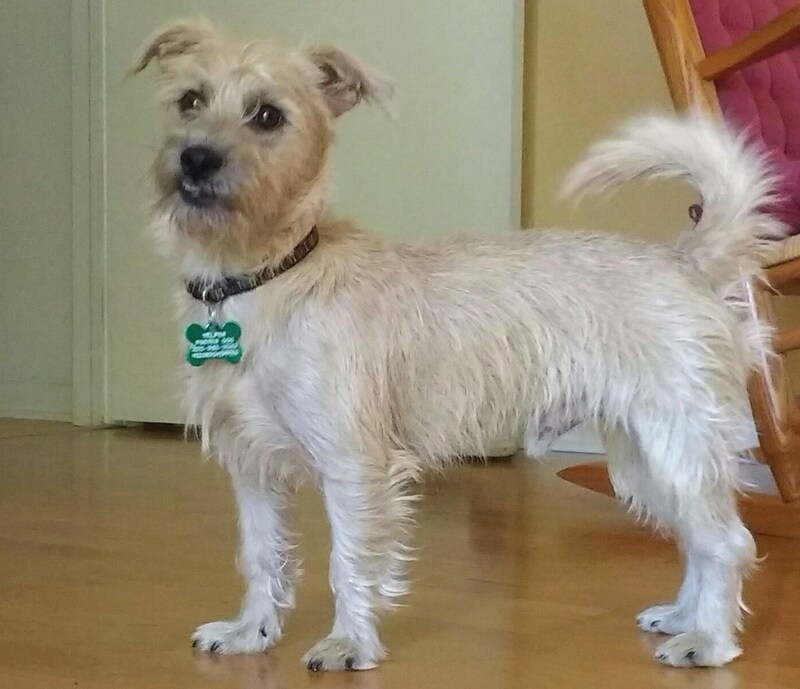 We have no children, but we do have one dog, Willowby, who was rescued off the roof of an SUV in four feet of water in the August 2016 flood. 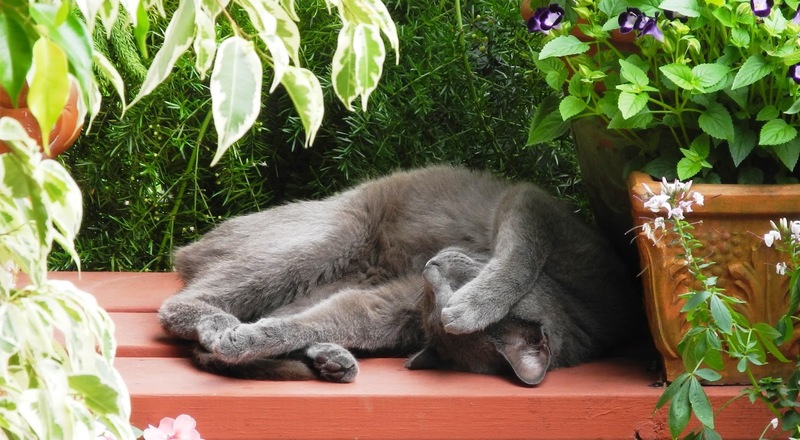 We also dutifully serve as staff to three community cats that adopted us into their service. My naive plans to transition the cats indoors is not working well, so we do not currently have a full-time indoor cat as I would wish. You will notice that I do not have a PhD in Catology, so you should approach anything I say here with the same degree of skepticism that you should with any other person, expert or otherwise. 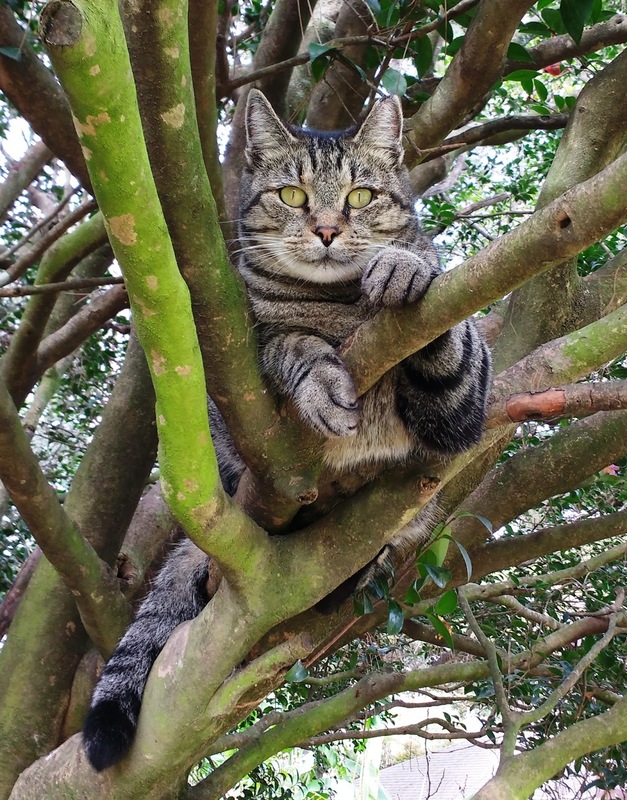 I don’t have any credentials to claim any authority on the subject of cats in trees other than my own experience, research, curiosity and passion. I am a natural skeptic, and I try not to accept statements as facts until I have weighed them in my own mind, and you should do the same here. If you find any errors of fact or logic or even grammar and spelling, please let me know. I am always eager to learn where I am wrong and to correct my mistakes accordingly. My intent here is to be truthful, realistic and trustworthy.